Get the techniques you need to successfully address client needs every time! This course provides a structured framework for consulting, with foundation techniques and client handling strategies for each stage of the consulting process. Our well-known PDI (practical, dynamic and interactive) methodology is the basis for our highly effective course format including a highly interactive case study providing the opportunity to solve a real life client problem during the course. Internal and external consultants and individuals whose roles require a consultative style, such as IT Managers, Project Managers, Business Analysts, HR Generalists and Sales Professionals. Manage client relationships effectively and achieve results for clients. Build critical skills to increase credibility, improve communication and manage expectations. Apply the right processes through a comprehensive framework for all stages of the consulting process, from defining client needs to running a project and reviewing results. We regularly conduct public classes that are open to individual facilitators or groups from within organizations. See the dates below for open enrollment. The course is conducted over three days and costs $2095. Please contact us or use our online chat feature for details. With a group of eight or more people, a private class may deliver a better value. 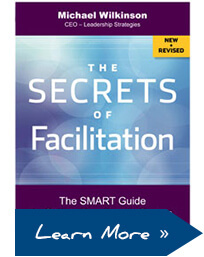 With a private class on The Facilitative Consultant, we can customize the course and bring the techniques and tools you need to conduct a virtual meeting to you, at your convenience. Find out how we can tailor this course to meet your needs. Please contact us or use our online chat feature if you have questions.